Quivira Golf Club—the latest Jack Nicklaus Signature Golf Course to hit Cabo San Lucas, Mexico—was named “Development of the Year” by Golf Inc. in the magazine’s annual competition. Also recognized in the contest were third-place Ferry Point, the soon-to-be open public championship layout in The Bronx, New York, and competition finalist Nicklaus Club—Beijing, the Golden Bear’s turnkey redesign project in China. Nicklaus Design layouts accounted for half of the projects named to the list of finalists. Quivira Golf Club is Nicklaus Design’s sixth course in Los Cabos and its 23rd course in Mexico. The Golden Bear designed Quivira Golf Club with the elements in mind. All 18 holes have ocean views, with seven holes playing toward, away from or along the ocean. The sand dunes of the rolling desert foothills and gusts of wind from the Pacific Ocean are natural hazards. And the vivid colors and contours of the granite cliffs should challenge and awe golfers. 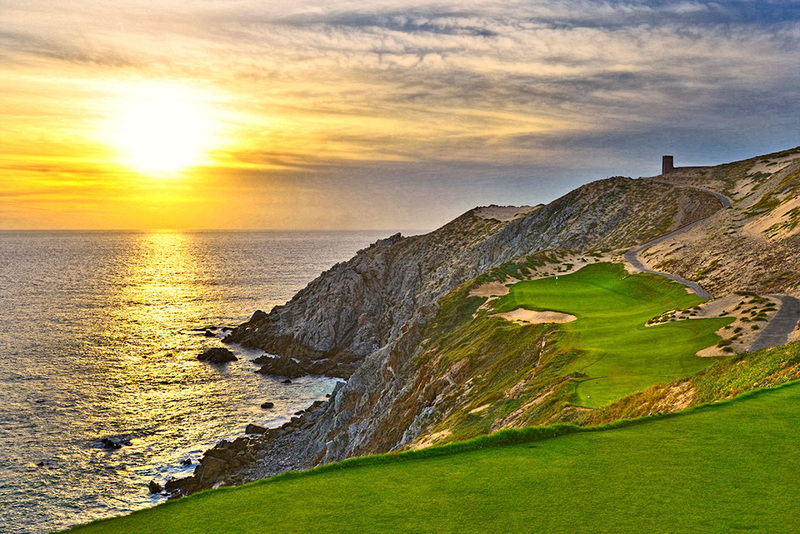 A game at Quivira starts at sea level, climbs the cliffs and dunes to 300 feet above sea level and drops back down to the beach. Nicklaus used natural changes in pitch in the sides of the hills to carve out tees, fairways and greens. That allowed him to design four holes so that the golfers are looking down on the green as they tee off. Nicklaus worked with the natural landscape of the property, keeping the land plan fully intact. Prior to development, the site was used as a location for the 2004 film Troy—serving in an almost direct contrast to the Development of the Year’s third-place winner, Trump Golf Links at Ferry Point, which was revitalized from a New York City landfill to a treeless links-style 18-hole course. Ferry Point will officially open in April, but it’s already been dubbed by many as one of the great golf courses in the country. It was a top-10 in Golf Digest’s annual Best New Courses list; the American Society of Golf Course Architects Design Excellence Recognition Program awarded Nicklaus Design and Ferry Point with one of 12 “Design Excellence” awards for 2014. The course also received recognition by the Florida Chapter of the American Society of Landscape Architects as one of 30 recipients of the organization’s 2014 Design Awards, and received the Environmental Sustainability Honor, as well as the Award of Excellence in the Resort and Entertainment Category. Nicklaus was on the original design team 14 years ago when the plan was to build 27 holes. Donald Trump joined the project as operator and contractor in 2011, catalyzing the project’s completion. Offering views of the Manhattan skyline, Ferry Point is the only championship-quality golf course in The Big Apple, and officials project that it will host 35,000 rounds in its first year. Nicklaus also gave the land at Nicklaus Club—Beijing a complete makeover and new life with his design. What transpired was not a renovation, but a complete redo, adding elevation changes and an additional 600 yards to the course, which now measures 7,225 yards. Nicklaus gave the owner a few suggestions. But in the end, the owners wanted Nicklaus himself to start at square one. Golf Inc. made the first change in 12 years to its judging process—adding economic and environmental sustainability as criteria. This year, project vision accounted for 40 percent of the judging, course routing was 15 percent, aesthetics were 25 percent, and environmental and economic sustainability were 20 percent. The contest was judged by industry leaders Brian Curley of Schmidt-Curley Design; Oscar Rodriguez, vice president of Heritage Links; David Southworth of Southworth Development; and Mike Nuzzo, founder and principal of Nuzzo Golf Design.